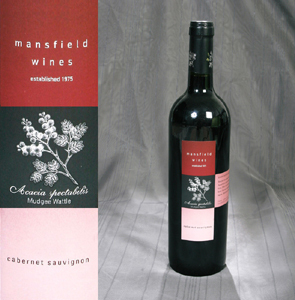 This Cabernet Sauvignon displays ripe blackberry and raspberry aromas with a hint of tobacco leaf. The palate features dark fruit flavours of cherry and currents with plum flavours lingering on the finish. Drink now or cellar up to ten years. Try the 09 Cabernet with grilled or roasted meats, casseroles or rich vegetable dishes. This medium boded wine displays complex spice and floral aromas. Rich raspberry and strawberry fruit on the palate supported by supple tannins. Drink now or cellar over the next few years. Zinfandel is the ideal wine for a variety of dishes such as marinated chicken, bbq meats, mild Indian and Mexican cuisines or any casual meal. A vibrant young (joven) wine style that delivers strawberry and raspberry musk stick aromas, juicy red fruit, wild herbs and olive flavours with a soft spicy finish. Drink anytime over the next four years. The Garnacha will compliment just about any casual meal you can whip up from Barbeque spare ribs, cold meat platers to rich vegetable dishes. For those looking for something a little weightier than a rose this is your wine. 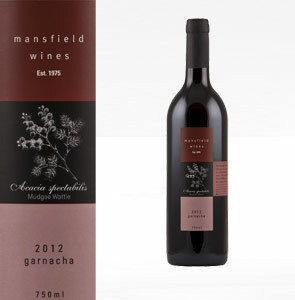 Traditional complex blend of Spain's most grown and respected red grape varieties Tempranillo, Garnacha, Monastell. The blend brings plum, cherry, black tea and spice layers to both bouquet and palate supported by soft rounded food friendly tannins. Drink now or anytime over the next six years. Dos Cabras is the ideal wine to try with grilled and roasted meats, paella or stuffed capsicums. We hope you enjoy this wine as much as we have making it. The name Dos Cabras (Two Goats) derives from to two friendly pet Boer Goats which inhabit the estate not the management. Another traditional blend of two of Spain's favourite red grape varieties. The 2011 MG delivers intense black cherry and wild herb aromas with earthy overtones. A complex palate of dark fruits, spice and leather supported by restrained oak tannins. Drink now or carefully cellar for the next eight years. Superb drinking with Mediterranean meat dishes, braised lamb shanks, or roasted vegetable dishes.... A special Mudgee wine with a Spanish accent. 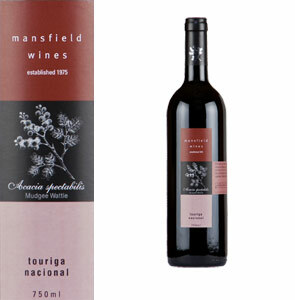 Touriga Nacional is red grape variety from the Dao and Douro regions of Portugal. For some time now we and our loyal customers have praised the virtues of this great grape variety. Now judges think the same. The 2010 Touriga displays warm floral and spice aromas with an abundance of red fruits that include red currants, morello cherries and mulberry flavours that complement the well balanced tannins. Drink now or cellar up to ten years. Try with grilled or roasted meats, Catalan Beef stew or a rich vegetable lasagna. A great wine to bring out and impress your friends. Awards: Champions Trophy Best Wine 2012 Mudgee Wine Show, Most Outstanding Red Wine 2012 Mudgee Wine Show, Gold Medal Best Alternative Red Variety 2012 Mudgee Wine Show.